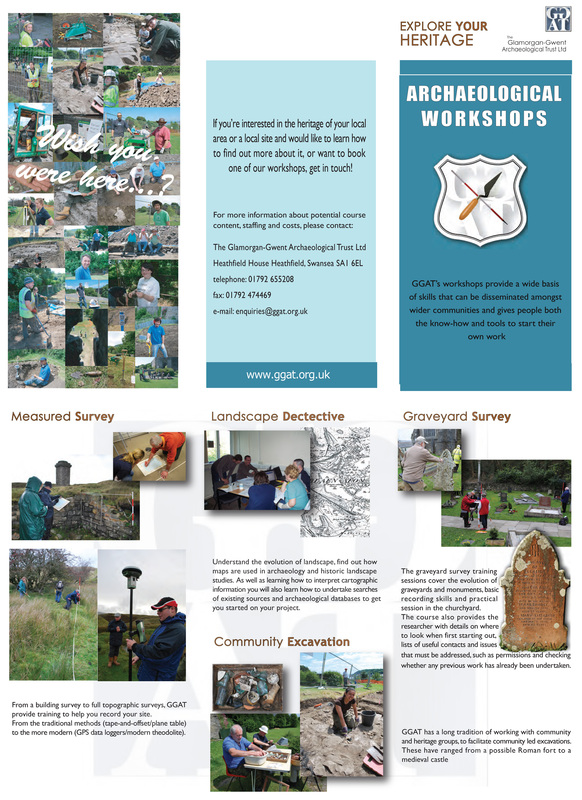 GGAT is established to educate the public in archaeology. We take archaeology to people who might otherwise not come into contact with it. Guided Walks, Talks, Workshops, we can provide it. GGAT support the 'Living History' Movement, where people in authentic costumes, and using authentic replicas of tools and equipment, demonstrate aspects of everyday life in the past. We work with established re-enactment groups, but also have our own in-house re-enactors who are able to provide demonstrations and workshops. One of our most popular living history demonstrations the Trust is able to offer is 'The Roman Cook'. Here you can find out about what the Romans were - by looking into their food! Forget stories about rotten fish and dormice - experience real Roman recipes prepared and cooked the way the Romans would have done them. The menu for each demonstration is carefully selected to illustrate as wide a variety of foodstuffs and cooking methods as possible. If the venue is not suitable for an open fire, we can demonstrate a range of cold recipes.